In a special full-length podcast, KUMD's Adam Reinhardt investigates the concept of Energy Democracy and the possibility of expanding citizen participation in energy production as the world transitions to renewables. 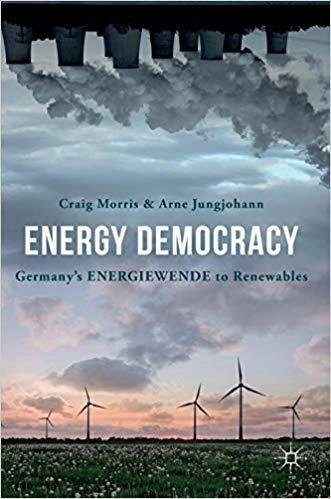 Focusing on Germany as our key example, Adam talks with Craig Morris, author of Energy Democracy: Germany’s Energiewende to Renewables. He also talks with Anya Schoolman, Executive Director of US-based solar advocacy group Solar United Neighbors. To conclude, Dr. Josef Pesch, a German citizen who's been involved with community-based renewable energy for nearly forty years, shares his personal experiences of the successes of Germany's energy transition, as well as spirited motivation for Americans to create their own Energiewende. Podcast hosted and produced by Adam Reinhardt with a special thanks to Chris Harwood and Maija Jenson for the audio production assistance. Open source music provided by Makaihbeats.